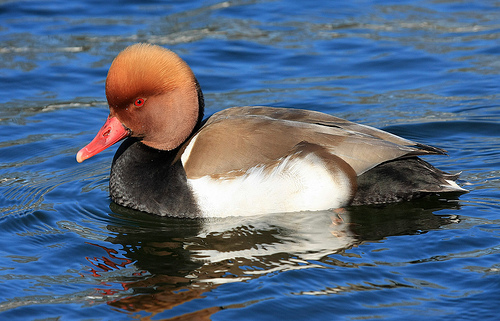 The male Red-crested Pochard has a beautiful orange head and a bright red beak. You won't see that combination in any other duck. The females are less fortunate in this regard; brown with a dark grey beak. Fortunately, you often find them together. In western Europe they are quite rare. The Red-crested Pochard has a red beak and a brighter orange head. 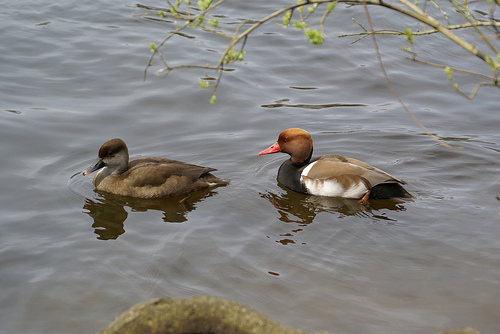 The head of the common Pochard is red or reddish brown.